During the 48th Annual Scientific Congress of the Polish Urological Association (PUA), a general meeting of the PUA members was held and the Executive Board was appointed for a further, this time 4-year long cadency for 2018-2022.  The Editor-in-Chief of the Central European Journal of Urology (CEJU) is a role closely tied to and appointed by the PUA Executive Board. The Board has maintained their decision to appoint me as the Editor-in-Chief of CEJU. I will do my best to fulfill my duties to the best of my abilities as long as the Executive Board of our association will allow me. Finally, I hope that I can continue to count on the goodwill and support of everyone concerned with the prosperity and development of our journal. 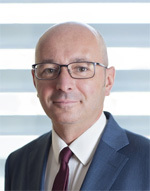 By sending a newsletter order, I agree to the processing of my personal data by the Polish Urological Association with its registered office in Warsaw, at 19 Łowicka Street for the purpose and scope necessary for the implementation of the subscription. According to art. 13 para. 1 and para. 2 of the General Data Protection Regulation of 27 April 2016, as the administrator of personal data, we inform you that the administrator of your personal data is the Polish Urological Association with its registered office in Warsaw, 19 Łowicka Street. The submitted data will be processed on the basis of art. 6 para. 1 point a and in accordance with the General Data Protection Regulation. Personal data will be kept for a period of six years. You have the right to access your data and rectify it, delete it, limit the processing, the right to transfer data, the right to withdraw your consent at any time without affecting the lawfulness of processing. You have the right to lodge a complaint with the UODO when you feel that the processing of personal data concerning you violates the provisions of the General Data Protection Regulation of 27 April 2016. Data submission is voluntary but mandatory to order a subscription.